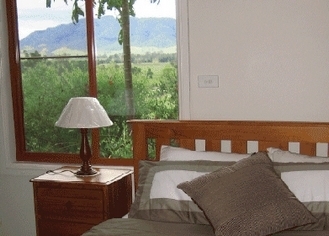 Goldie's Place is a luxury bed and breakfast establishment, situated just 15 minutes west of Gloucester NSW, in the foothills of the magnificent Barrington Tops Wilderness region. 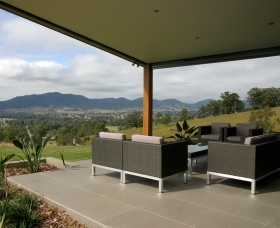 The jewel in the Hunter Valley's landscape. 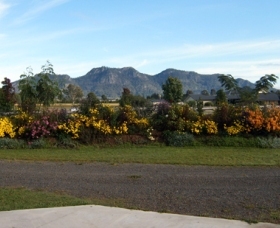 Welcome to Gloucester on Avon Bed and Breakfast, you hosts look forward to your visit to their family friendly country bed and breakfast, where you can enjoy 4.5 Star quality at affordable rates, overlooking the beautiful Bucketts Mountains in Gloucester. 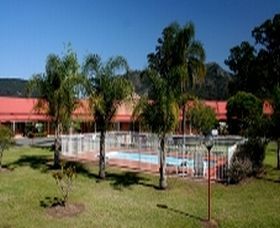 Gloucester Country Lodge Motel Is situated at the base of the Bucketts Mountain and in an idyllic, quiet and peaceful rural setting two kilometres south of Gloucester on the Bucketts Way. 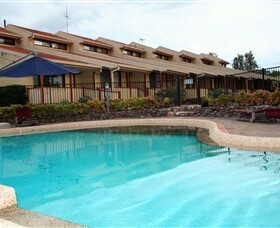 The motel rooms contain a queen size bed and single bed and they also have family rooms. 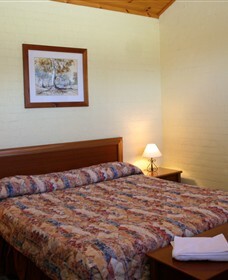 All rooms are spacious and on the ground floor allowing easy access from vehicle to room. All rooms have rear sliding door access to back verandah with seating, which gives you views of the breath taking Bucketts Mountains. 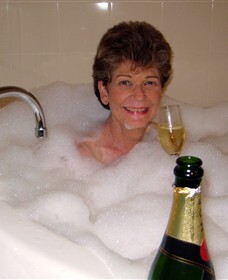 Adjacent to the Gloucester Country Club which has a restaurant bar and bistro. 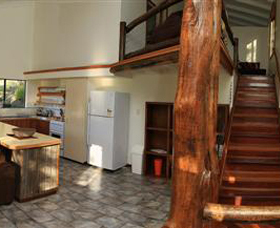 Luxury eco-friendly accommodation nestled on 100 acres on the northern side of the Buckets with panoramic views of the district and overlooking the township of Gloucester; The Ridge provides the ultimate in a luxury get-away holiday. 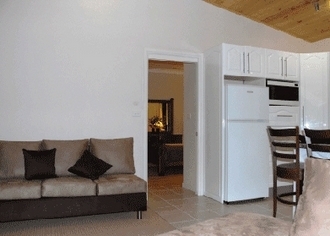 The Great Escape Lofts are 4 Star AAA Tourism rated self-contained apartments with an open plan kitchen (fully equipped), dining and lounge room, king spa, mezzanine loft bedroom with king bed. They are beautifully appointed with rich, timber furniture. 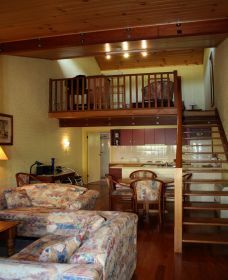 Each apartment also has a television, DVD player and a CD player, with reverse cycle air-conditioning upstairs and down. 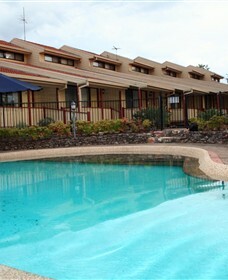 There is a 16 metre lap pool and guest laundry. 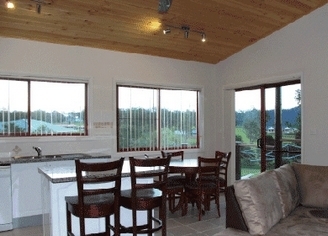 Self contained rustic settlers cottage on the banks of the Gloucester River. 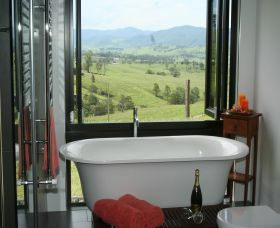 Located a short distance from the World Heritage Barrington Tops Wilderness Area. 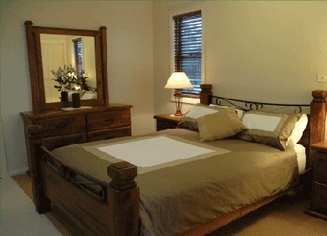 Consists of two bedrooms, two double beds, three single and one seperate double room. 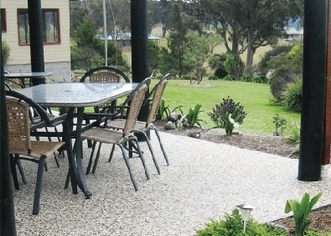 Relax on the back verandah overlooking the river. Bring own linen, pillows, towels sheets, etc. 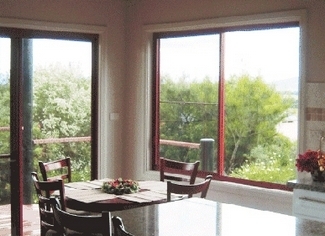 Overlooking the Barrington River, this cliff top cottage, which can accommodate 11 people has everything you need for a carefree weekend away from it all. 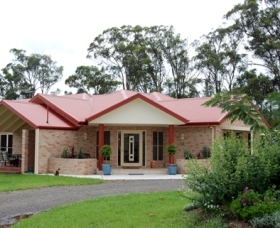 A world away from the camping ground, you'll feel secluded in this beautifully appointed home. 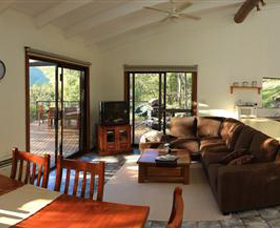 Riverview Cottage is fully equipped, self-contained cottage that boasts a great outdoor entertaining area complete with table setting and barbeque ready for your Sunday arvo sessions. The kitchen is large and includes all the mod cons you would expect. 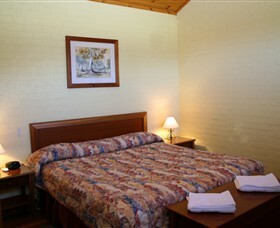 There is also a washing machine and clothesline, iron and ironing board to ensure your stay is as comfortable as possible. A telephone and television gives you the comforts of home while the local wildlife and surroundings bring you something new. 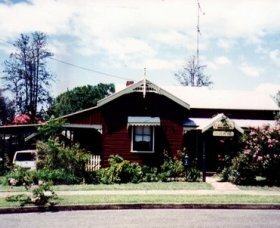 Gloucester Cottage Bed and Breakfast is a comfortable friendly traditional Bed and Breakfast, in a beautiful early 20th century home. It is just a two minute stroll up a quiet street of Gloucester Town Centre, so is close to shops, restaurants and wonderful sporting facilities of this delightful town. 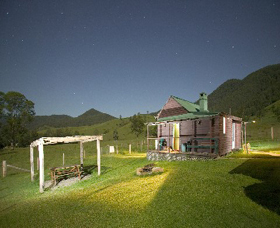 Gloucester is also close to World Heritage listed Barrington Tops.